Shad is using Smore newsletters to spread the word online. 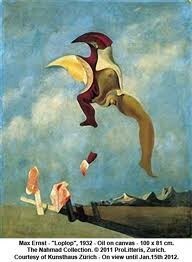 Max Ernst was born April 2, 1891 in Bruhl, near Cologne. He had eight siblingsand was born into a middle-class, Catholic family. His father was a teacher that taught the deaf and was an amateur painter. Max's father inspired him to take up painting himself. In 1909 he attended the University of Bonn for philosophy, art history, literature, psychology, and psychiatry. 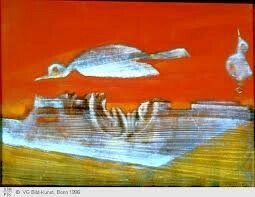 He visited asylums and was fascinated with the art work of the patients. He decided to become an artist and did some of his first works in the court yard of Bruhl Castle of his sister and himself. 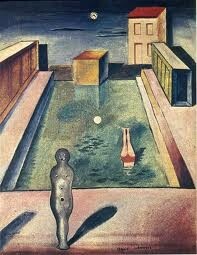 In 1911 he joined the Die Rheinischen Expressionistin art group. He was then drafted for World War 1 and died on August 1, 1976. 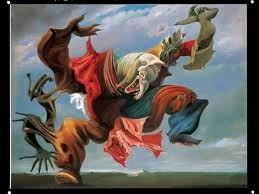 In this Max Ernst piece i like how he used random shapes and just put them together to make art. I don't really know what is going on in this picture but its very catchy. Its kind of dull though there are some colors. But it is a very unique piece and is very imaginary. The figure in the middle has some human attributes combines with shapes. Its a very nice piece.